Sports enthusiasts, both professional and non-professional, are prone to different types of injuries especially in the knee area. To avoid this, knee supporters are used to protect your knees. However, you can’t just randomly buy any kind of knee supporter, you need one that is designed according to the degree of your injury. You can either buy something for your everyday needs or get a knee supporter that can help you recover from severe injuries. Choosing the right product may be difficult especially if you are keen on its specifications. 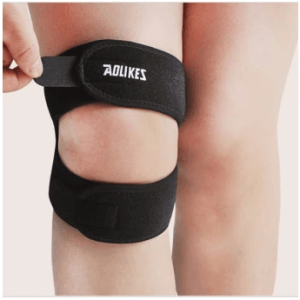 To help you select quickly and easily, we will discuss in the article how to choose the best knee supporter based on a buying guide and reveal the top 10 best knee supporters you can purchase online. So read on to know more about buying essentials of knee supporters! Just simply looking at a particular knee supporter is not enough to know whether it will suit your needs. In this section, we will talk about some essentials to look out for when buying a knee supporter. The elastic knee supporter looks like “socks” for your knees. It does not only wrap around your knees but also stretches a few extra inches above and under your knees. It is designed to always keep the supporter in place as well as fit perfectly to any movement. This type is recommended for beginners who are still adjusting to any physical activity. The elastic type is also recommended for professional runners who are into intense marathons. 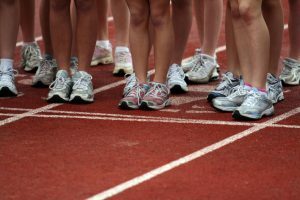 It is said that when running, three times your body weight is loaded on to one knee, hence why it is most likely that your knees have the highest risk of injuries. Therefore, you need a knee supporter whenever you are training or competing. Although the elastic type is not a sufficient supporter for intense or an already injured knee, most sports enthusiasts start from using this type. It is made out of a light, stretchy material which is enough to reduce fatigue and mend to your everyday needs. The Velcro type is suitable for people who are already suffering from knee pain. When you feel that your knees are aching, it is likely that the muscles surrounding are also in pain. When this happens, your bones are forced to press on to the surrounding nerves which causes an inflammation. 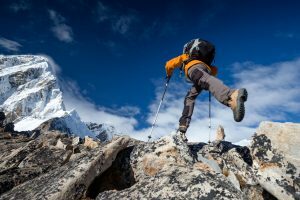 By using the Velcro type, your knees will be liberated from the pain because Velcro can be tightly taped around the affected area, which can fully support your knees. However, when it comes to injuries, knee supporters with struts are suggested because they are effective for fast recovery. They protect the affected area by preventing it from any unnecessary movements that can worsen the injury. Regardless, it would still depend on the type of injury you have and on the advice of your doctor. This type is also convenient to use because it can simply be adjusted. How fitting and breathable a knee supporter is matters a lot primarily because of comfort and convenience. If you are doing a physical activity that involves more knee work like volleyball, mountain climbing or badminton, it is important to get a knee supporter that is a perfect fit, without having to loosen it during the sport. The important thing to keep in mind is to get something that has an excellent tightness and great breathability for prolonged use. If you are into playing volleyball at the beach, especially during summer time, a knee supporter with great breathability will not distract you during your game. The key to great breathability is the material used in the knee supporter. In this case, you should look for cotton. Joint pain, also known as arthritis, is common among people aged 50 and above. Primarily because of aging and poor circulation especially in the knee area. However, at some point, the cold weather can also contribute to the cause of your suffering from joint pain regardless of age. So when you feel like your knees are making you uncomfortable during the cold season, you would need a knee supporter that is designed with a high thermal insulation. During the cold weather, your muscles tend to tighten up to the extent of causing cramps. You wouldn’t want this to happen, right? So better use a knee supporter with a good thermal insulation to keep your muscles warm. Warming them will promote good circulation, muscle relaxation, and pain relief. It is now time to reveal the top 7 best knee supporters online. Please read each item carefully to better understand its features and benefits. 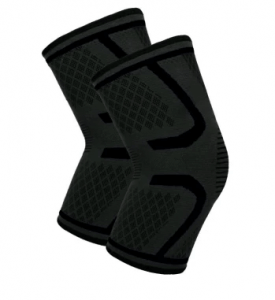 These awesome knee pads from Shanyu will relieve your knee pain with its heating technology. The heat it provides calms your inflamed joints, which effectively eliminates the pain. It’s also made of an elastic material that makes it easy to wear. The pads are designed with velcro tapes that securely keep them in place around your knees. They make sure that your joints are always intact, preventing more pain from developing. All these features make this supporter perfect for aged people who are suffering from knee pain due to aging or weak bones. However, if you have sensitive skin, this product might not be for you because of its self-heating function. Its unique 3D weaving pattern primarily provides you with great comfort. The pattern allows the knee supporter to be more flexible that supports your every move gives better breathability for an excellent convenience and offers a pleasant fit. 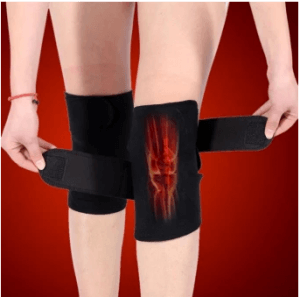 This is a knee supporter for any type of sports enthusiasts and fitness experts who are seeking convenience and comfort in doing various physical activities. It also features two highly elastic and adjustable bands that maintain a good pressure and fit around your knee. The supporter aids in the recovery of your knee injury as well by keeping it steady. However, some people argue that its fabric produces a foul smell after intense perspiration, so this product might not be for you if you sweat easily. This pair of knee supporters is perfect for everyday use because it flawlessly protects your knees from the risk of inflamed joints due to accidents. The pads have underprops that help support your joints and muscles around the knee area. This is ideal for people who are active in sports and for those who do their daily exercise as it simply protects your knees. The supporters’ fabric is made of a combination of polypropylene and polyester and elastic yarns for excellent durability without the risk of wrinkles. The pair is also very easy to use with its slip-on feature. However, its breathability may not be as good as cotton, especially during the summer season. This may be more convenient to use when it’s cold or when the temperature is lower. WinMax offers a distinctive knee supporter that protects your knee from getting exhausted due to intense workouts and sports games. 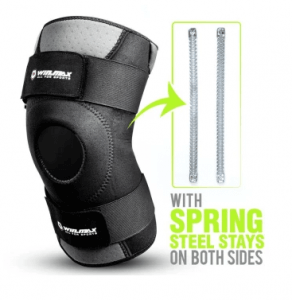 It features a durable spring steel that fully supports the two sides of your knees, lessening your knees’ exhaustion. This is excellent for professional and non-professional sports enthusiasts and workout gurus who are used to tiring physical activities. Its material is made from a mixture of nylon and neoprene for great breathability, durability, and elasticity. You can also take advantage of its adjustable bands and velcro tapes for a better fit. Although some consumers may find this supporter so thick that they feel uncomfortable at some point, it will be a good choice for you if you need a high knee stability. Your kneecap (patella) is safely supported with this knee brace without causing more pain. If you’re already suffering from a knee pain, you can benefit from its uniquely designed 2-piece adjustable brace that perfectly fits the upper and lower surrounding area of your kneecap. This won’t trigger your swollen joints, preventing the development of more pain. Your knees can be awesomely sealed with its velcro tapes as well that keep it in place. However, this does not come in various sizes, so people with bigger or smaller knee circumference may not fit this. Yidea introduces a pair of knee braces that you can easily slip on and remove. It assures excellent flexibility and convenience because it’s stretchable that can fit many sizes. This is best for every sports enthusiast and fitness lovers who are looking for knee supporters with maximum flexibility and convenience for an awesome performance. Its material is a combination of spandex, nylon, silicon, and latex silk for elasticity and strength. The braces come in different sizes and colors that you can choose from for a more enjoyable physical activity. Have you thought about which knee supporter suits you best from our list? If not, try to use the buying guide to choose the right product and ask yourself again for what purpose you are in need of a knee supporter. After all, what matters most is the convenience, comfort, and satisfaction of your knees!